The lighting of the candles are one of the most sacred practices of the Hanukkah season. 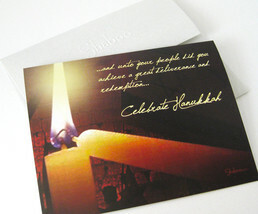 It is remembrance of the holiness of the holiday and helps to unite the family, making its importance today even more pronounced. 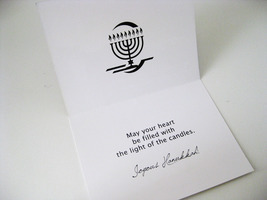 Inside of the card reads: MAY YOUR HEART BE FILLED WITH THE LIGHT OF THE CANDLES. 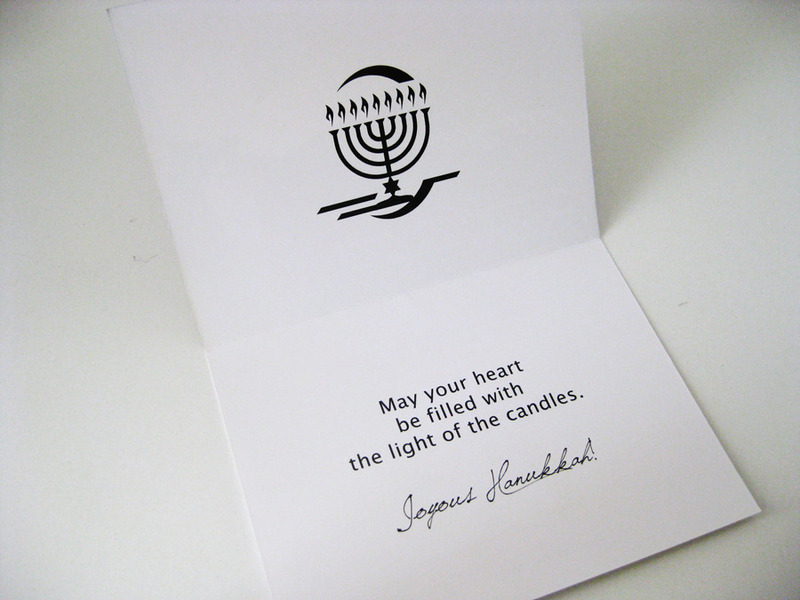 JOYOUS HANUKKAH! There are additional graphics inside. Due to its proximity to the Christmas holiday, HANUKKAH has progressively become more “festive.” Shaboo has taken the liberty to combine the traditional roots of Hanukkah with the holiday festivity associated with the month of December. 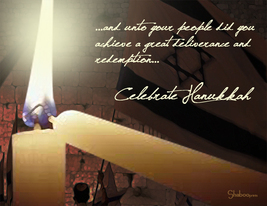 Today, Hanukkah is a living celebration of tradition and the future, of unique culture and global unity. 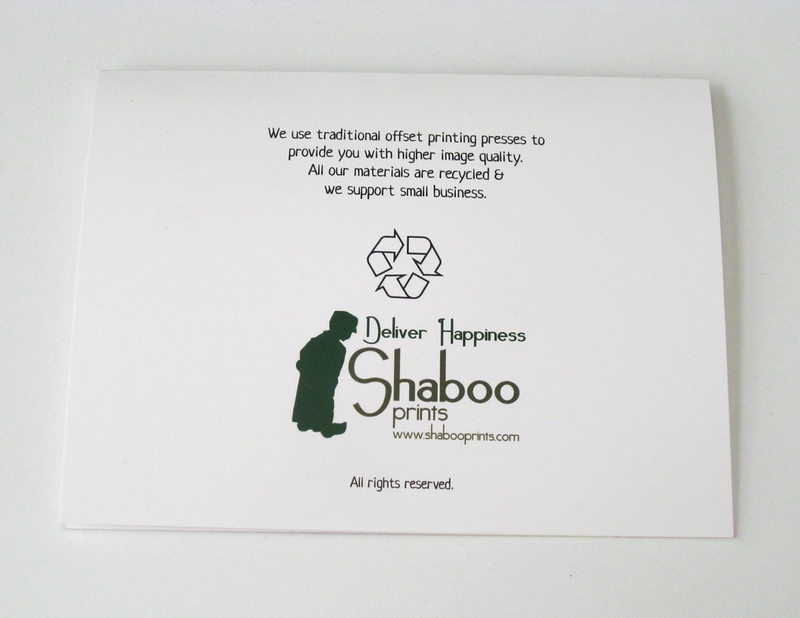 Each design is created using traditional printing presses giving you a better image quality. 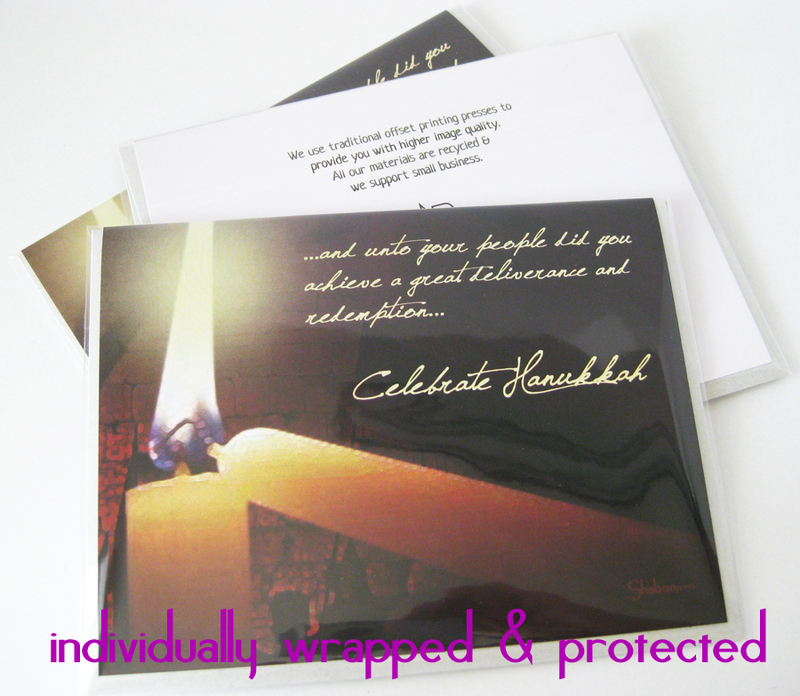 They are 4 1/4” X 5/1/2” in size (A2), printed on heavy quality 100 lb. card stock and each comes with a 4 3/8" X 5 3/4" earth-toned (called Willow) 80 lb. envelope and protective crystal clear bag. 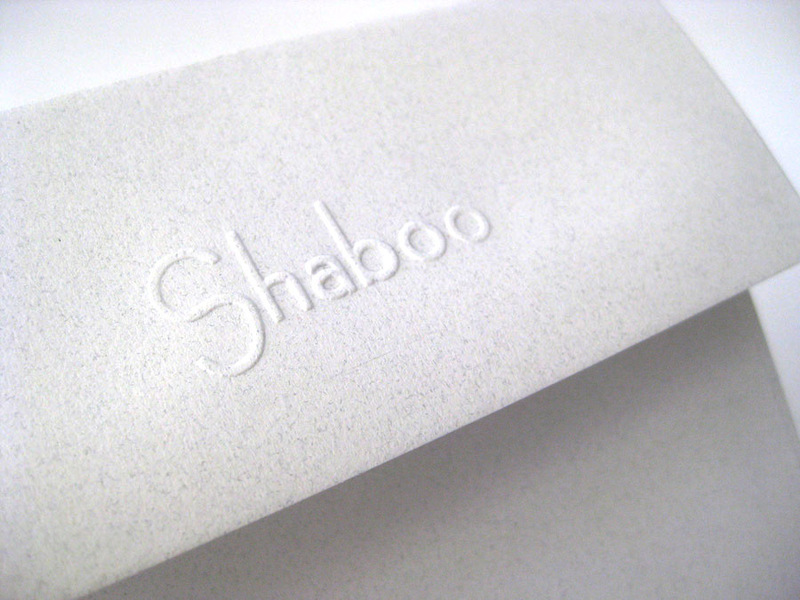 All materials Shaboo Prints uses are recycled to reduce the environmental impact. 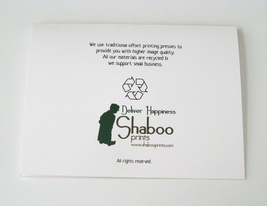 Shaboo Prints also supports small business and consciously does not contract with large vendors, except for the USPS, which can provide you with better shipping rates.